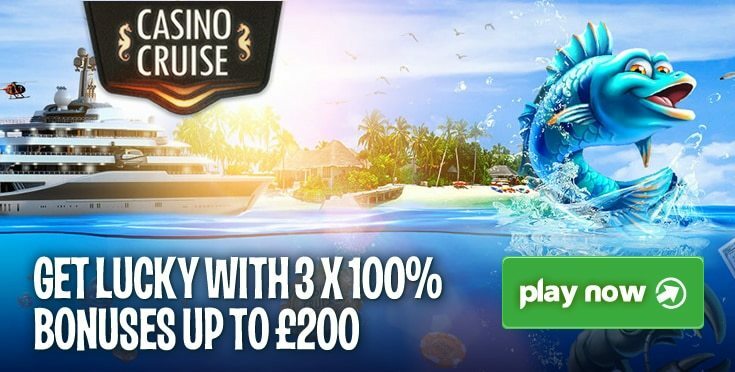 Casino Cruise was founded in 2014 and is managed by OddMatrix Limited. OddMatrix is ​​a medium-sized group and the other online casinos under their roof are Play Hippo, Bet Cave, and Reel Crazy. Casino Cruise is the largest casino in the group and uses both Malta and United Kingdom Gambling Commission licenses. Thus, it achieves unparalleled security and reliability. In this review, we will try to answer every question you have about this establishment. Casino Cruise works with a total of 6 providers and offers more than 1300 games in different categories. Among the providers, it is possible to see well-known industry brands like Microgaming, Netent, and Play’n GO. A large part of the collection is reserved for slot machines, but table games are also quite common. The most important feature of the games is that they support all mobile operating systems. So whichever device you use (iOS or Android) you get seamless gambling experience. Casino Cruise offers a total of 15 different roulette games, and it is possible to play 4 of them against live dealers. You can find all variants of the roulette, even the rare variants like Low-Level Roulette. We recommend that you choose French Roulette as always as it has the lowest house edge rate. You can try all the games for free even without becoming a member. Roulette games have instant play support, so you can play them through your browser without having to install a program. When you visit the website for the first time, you will see an orange button named “sign up” in the top right corner. Click this button. A membership form will be opened. Fill in all the requested information and do not forget to provide a valid email address. This address will be used to activate your membership. After verifying your email address, you can now login to your account. Using your account screen, you can deposit money, withdraw money, and track your bonuses. Win a Cruise: You get a ticket for every €50 you deposit. On the last day of each month, a prize draw is organized, and a lucky ticket owner wins a free cruise tour. 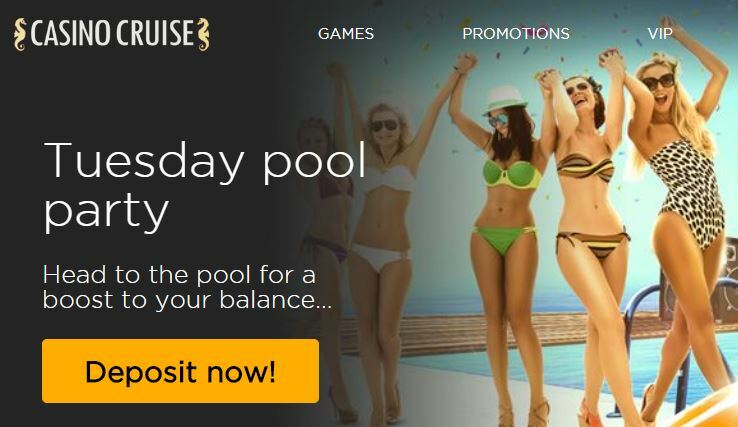 Monday Breeze: Every Monday, you earn a 25% reload bonus and 10 free spins for your deposits. The upper limit of this offer is €100. Monthly Splash: It is possible to earn a 50% reload bonus for deposits made on the first Wednesday of each month. The upper limit for this offer is €100. Cash Points: Each member earns 1 comp point for every €20 deposit. You can convert these points into real money from your account page. Casino Cruise supports the following payment methods for deposits and withdrawals: Credit card, ECO Payz, Neteller, Sofort, Paysafe Card, Entropay, GiroPay, Skrill, and Trustly. The daily withdrawal limit is 10,000 EUR. Withdrawal operations are completed between 24 hours and 5 business days, according to the preferred method. The minimum deposit amount starts from EUR 10, again, according to the preferred method. You do not have to pay fees for any transaction. There are three basic variations of roulette games, and you can find them all on this gaming site. French, Europe, and American variants can be played both against a live dealer and a computer. RTP rates are not declared but are regularly audited. A total of 15 roulette games may seem few, but it is important to remember that it is not a roulette-focused online casino. The table limits of the games are low enough to appeal to any budget, and variants such as “low-level roulette” allow you to play for a long time even with a limited budget. If you want to play other casino games in addition to roulette, best Casino Cruise will be the ideal choice. Because it offers security, reliability, and a large collection of games together. Roulette professionals may find the number of games to be insufficient, but for casual gamblers, it offers enough content. Get up to $100 bonus cash added to your balance when you deposit and play on Tuesday. It’s time for some poolside fun and games with the Tuesday Pool Party at Casino Cruise. Select the bonus when making a deposit, and we’ll boost your balance by 25% all the way up to €100 (for example, make a deposit of €100, and we’ll add €25 to your balance giving you €125 to play with).